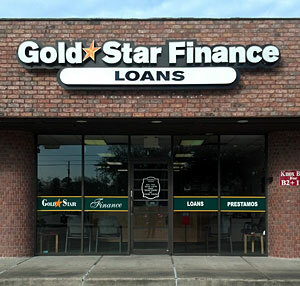 "I think Gold Star is one of the besst offices we have in Bryan Texas. They have the nicest staff and I enjoy doing business with them"
Residents of Pasadena TX take tremendous pride in their community. Beautiful parks, an excellent public school system, two colleges, a University, ample cultural attractions, recreational facilities, and pleasant suburban residential areas provide for a comfortable quality of life. Whether you are a newcomer or native, you will certainly want to experience that special kind of Pasadena Texas hospitality making you feel right at home. Gold Star Finance is proud to be a part of the Pasadena community, proving short term consumer loans within the Pasadena TX area. Stop by location on Pasadena Blvd so we can get to know you better. You will always be treated with courtesy and respect.